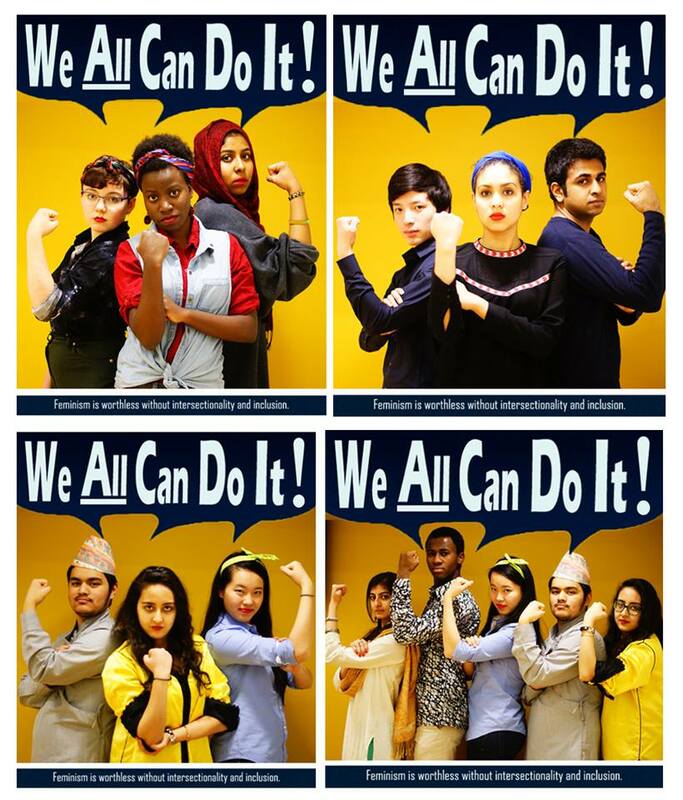 The winning project of the Yale Women's Center "Feminism Today" Essay and Art Competition - "We All Can Do It" by Houriiyah Tegally and Julia Jenjezwa, featuring the talents of several Yale students - expertly intertwines feminism and ethnicity, arguing that the two are inseparable, and that without inclusion, feminism fails. Today's world has feminism in the spotlight. Is feminism, by being centered on inclusion, a testimony to the significance of ethnicity? When pondering over the motion for YHD 2014, it may be a useful exercise to think beyond the realms of globalization and ethnicity alone, and to place them in the context of the larger picture, in which many forces work simultaneously - sometimes in conjunction, and sometimes in opposition. "We All Can Do It" certainly has YHD thinking.